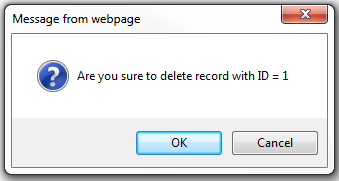 As you can see from the image below, when we click the Delete link button a confirm dialog box should be displayed with the message - Are you sure to delete. If we click OK button the respective row should be deleted. If we click Cancel, the row should not be deleted. 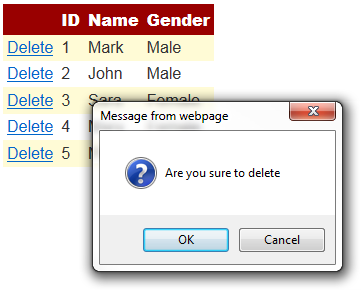 Now drag and drop a GridView control and a SqlDataSource control onto the webform. 5. Click "Next" on "Save the Connection String to the Application Configuration File"
7. 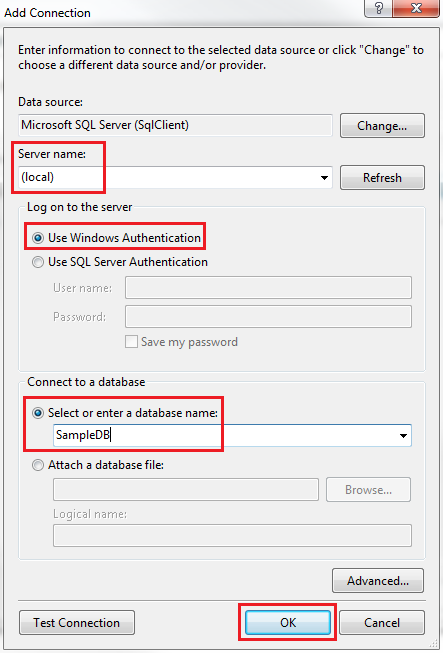 On "Advanced SQL Generation Options" screen, select "Generate INSERT, UPDATE and DELETE statements" checkbox and click OK.
9. Click "Finish" on Test Query screen. 10. 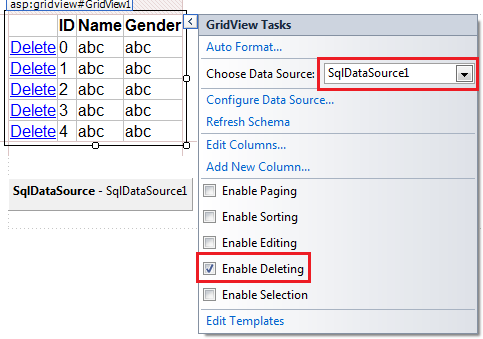 In the GridView tasks pane, select "SqlDataSource1" from "Choose Data Source" dropdownlist. Select "Enable Deleting" checkbox. Now flip the Webform to the source mode and notice that we have 4 columns. 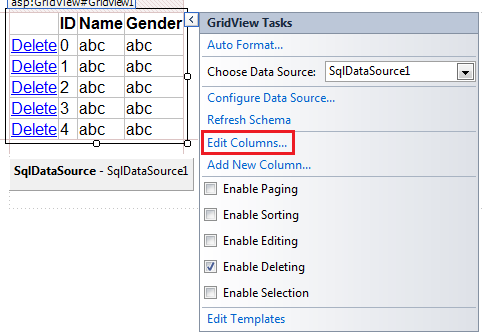 The first column is a command field that is used for deleting the row from the GridView control. Now flip the Webform to the source mode and notice that the Delete button is now generated as Link Button. If you also want include the ID of the record being deleted in the confirmation message as shown below. lb.Attributes.Add("onclick", "return confirm('Are you sure to delete record with ID = "